Bluebird Lane Wren left here on the morning of September 23rd, and arrived safe and sound at her new owner’s stable in Calgary, AB early on Sept 25th. 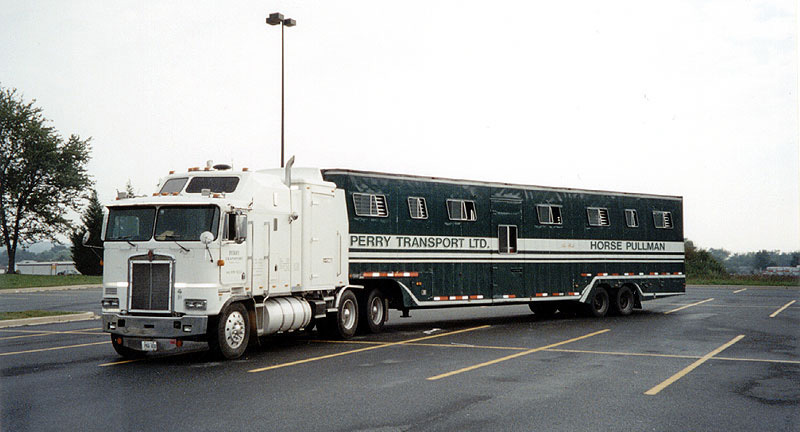 Perry Transport picked Wren up here on Monday morning at 10:00 am and brought her back to their yard, to be loaded on the big air-ride truck for the 36 hour trip to Calgary. We had been practicing trailer-loading in advance, and Wren loaded up beautifully and shipped well. Thanks to Perry Transport for doing a great job, as usual, and the best of luck to Wren at her new home!